BELLVILLE — Whitey Flockerzie was honored recently with Samaritan Hospital Foundation’s Heart of Giving Award. A crowd of nearly 200 gathered for the annual Heart Giving Dinner on Oct. 4. The evening is dedicated to thanking individuals in the community who give generously of their time, talent, treasure and service to help others. A special military tribute video was shown that recognized Purple Heart recipients, Gale “Whitey” Flockerzie, Korey Kaufman and Lonnie Miller. Recon Sergeant Gale “Whitey” Flockerzie was an artillery forward observer during the Vietnam War and was assigned to the 4th Infantry Division. Artillery forward observers are considered high-priority targets by enemy forces, as they control a great amount of firepower, are within visual range of the enemy, and are often located deep within enemy territory. The day Flockerzie was shot was a day just like any other. He got up, shook the scorpions out of his gear and his platoon moved out. They came to a clearing, and Flockerzie said he remembers looking at his watch, it was 2:45 in the afternoon. And then things just exploded. He said remembers being the first one down.. He said he knew something was wrong, because everything was in slow-motion. He remembers thinking” ‘Hey, this is me’ even before he felt the pain. Flockerzie had been shot in the groin area, the bullet exiting his lower back. The young sergeant underwent two surgeries in a field hospital and was in intensive care for 16 days, eventually being evacuated to Japan where he spent another month and a half. After recuperating, Flockerzie spent the rest of his tour in South Korea. As a tribute to the Purple Heart Honorees, the foundation presented a $10,000 grant in support of the Disabled American Veterans of Ashland County to past Commander John Sperzel, along with $1,600 for two disabled veterans to experience the Honor Flight Trip to Washington DC in 2019. Courtesy photo Bellville’s Whitey Flockerzie was honored recently with Samaritan Hospital Foundation’s Heart of Giving Award. 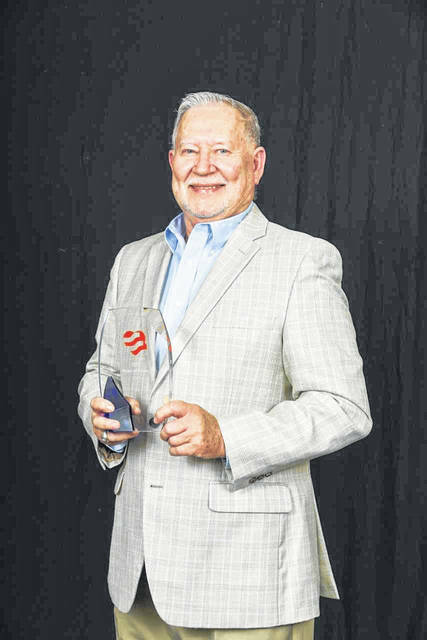 https://www.thebellvillestar.com/wp-content/uploads/sites/39/2018/11/web1_flockerzie.jpgCourtesy photo Bellville’s Whitey Flockerzie was honored recently with Samaritan Hospital Foundation’s Heart of Giving Award.